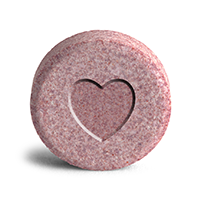 Ecstasy Overdose: Why Molly Is Not Your Mate! What are the signs of an ecstasy overdose? Ecstasy is a stimulant and a hallucinogen at the same time. As such, it can cause high levels of energy, seizures, increased heart rate, depression and distorted perception. The leading causes of death are related to intoxication due to a drug cocktail, hyperthermia or low sodium levels in the blood. In the case of an overdose, call 911. Ecstasy Overdose: Can You Dance? Ecstasy or MDMA is a curious drug, which acts as a stimulant and a hallucinogen at the same time. Mostly, due to its powerful effects that give the user a kick of energy and blissfulness, the drug is a popular rave drug. For example, imagine dancing all night on the waves of the electronic music and feeling completely in harmony with the universe! If that sounds too good, have in mind that one morning you might not wake up. Sometimes it’s hard to spot the warning symptoms of an ecstasy overdose as you might be too overwhelmed by its effects, such as euphoria, high levels of energy and distorted perception. The risk of an ecstasy overdose is greater when the drug is combined with other popular club substances, such as alcohol, marijuana or cocaine, which can lead to intoxication. In fact, data reveals that 70% of all ecstasy overdose ER visits include the mix with other drugs. How Does Ecstasy Affect The Brain? The use of MDMA results in the release of three chemicals in the brain: serotonin, dopamine, and norepinephrine. Panic attacks are also a common sign of an overdose. Thus, all these symptoms can lead to suicidal thoughts and real attempts. How Does Ecstasy Affect The Body? Maybe one of the biggest signs of an overdose is the dangerous increase in the body temperature. Overall, it can lead to severe heart and kidney damage, which can be lethal. Like we said earlier, ecstasy overdose often happens due to the combination of many drugs and exhaustion. The usual dose is between 80 and 160 mg. However, users claim that a lethal dose is above 0.5 gr. Remember, though, that it all depends on some individual differences, the quality of the product and the history of abuse. There’s no safe side! Hyperthermia – High body temperature can damage many organs and lead to death. Heatstroke is often worsened by the rave environment, characterized by many people and lack of fresh air (street parties are not an exception). Heart attack – High levels of energy and an increase in the heart and the blood rate may result in a heart attack, especially for users with some health condition. Hyponatremia – If we said that Molly abuse leads to dehydration, now let’s mention that ecstasy overdose can lead to hyponatremia, which is the excessive amount of water in the body, and death. Isn’t that ironic, one might ask? Well, MDMA makes the user thirsty but at the same time leads to water retention (no sweating or urinating). As a consequence, the user might continue drinking water, which can result in a fatal decrease in the sodium level in the blood. Ecstasy Overdose Treatment: Goodbye, Molly! If you survive an overdose and realize that you finally need help for your drug addiction, find the right rehabilitation facility that suits your needs, finances and family life. For more information, check the most updated treatment page. Say goodbye to your party mate Molly and say hello to sobriety! Addiction Resource » Addictive Substances: The Anatomy of Drug Addiction » Ecstasy Addiction: The Signs and Symptoms of MDMA Abuse » Ecstasy Overdose: Why Molly Is Not Your Mate!